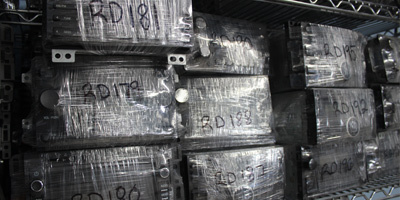 We travel all oer the Rio Grande Valley looking for various car parts and accessories for our clients that are trying to rebuild or restore their car, truck, jeep, motorcycles... whatever it is, we can find it. If we don't have it, we can get it. We have over 12 acres of full auto parts that are waiting for the right time to replace that part that just isn't working anymore. 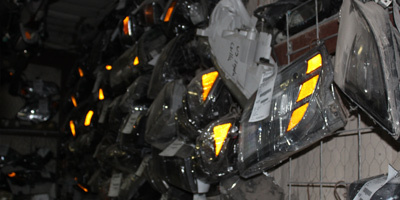 Need new headlights are taillights? We have many available to choose from, be we can fand the one you need. Our staff is highly knowledgeable and trained to get exactly what you need, in an efficient way that we've built throughout the years. Welcome to our new mobile ready website. Optimized to better serve your automotive needs. 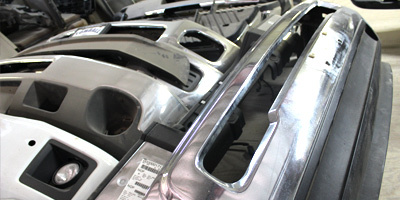 Are you looking for a car part for your automobile? Such as a front bumper for your Ford F-150 or Chevy Pick-up Truck? We have over 12 acres of land with hundreds to thousands of available replacement parts readily available at a moment's notice. Stop by in person or call us directly for top of the line customer service. Our prices are fair and very competitive. We offer small discounts for multiple part purchases and loyal customers who have helped built this business just as much as our well qualified, friendly staff. We hope your visit is a pleasant one and we will work harder to ensure you are receiving the best service in the Rio Grande Valley. Find exactly what you are looking for by clicking here. If we don't have it, we can get it. We take these words very seriously. Know what it looks like but forgot the name? We keep track of your request by allowing you to search and reserve more than one car part. Service you can trust and rely on. We value our customer service more than you can imagine. Let us know how we are doing. We want to know. We are open early and on Saturday for your convenience. We do close at noon. We have a family too! We are constantly stocking our inventory with popular makes and models that you drive on a daily basis. You may find some gems on our lot. Please ask for permission to scour the lot. We included key searches that you search for in our inventory to ensure we get it right the first time. We offer English and Spanish customer support. We try to do the best job that we can in finding your part. Your patience is greatly appreciated. We will try to respond to your inquiries as quickly as possible. If we wouldn't buy it, neither should you. We have a strict refund policy because we know for sure if it works before we buy it. You can count on us to find the part that you are looking for. Our goal is perfection. We want to get it right the first time because we know your time is precious. We have qualified and knowlegable individuals who love and enjoy working with cars. Yes we have a lot of them, its just more for them to cherish.